Even before the curtain was raised on West Australian Ballet’s Nutcracker, the air was buzzing with excitement. The matinee was filled with little girls in party dresses. We were greeted by the backdrop of a quaint toy shop and city with foot-thick snow that glowed under the lamplight. There were even falling speckles of snow projected onto the background. After the lights had dimmed, the little toy shop’s windows became transparent and there we could see Uncle Drosselmeyer (Christian Luck), preparing his toys for the party. Then, the doors slid open to reveal the shop inside. Those opening moments are just the start of the magical scenery, props and special effects to come. At the party, Uncle Drosselmeyer does some wizardry with a walking stick, making it leave his hands and suspend in the air. When the grandfather clock strikes midnight and Clara (Asja Petrovski) returns to the beautiful living room to retrieve her doll, the Christmas tree grows to the ceiling, mist surrounds her and remote control rats with glowing green eyes scurry around her. Amazingly, in the dance of the snowflakes, pretend snow falls to the floor. However, the snow, though beautiful, seemed slippery for the dancers on stage. 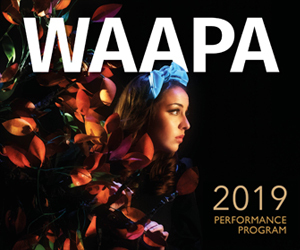 Exceptionally talented: Carina Roberts as Clara and Matthew Edwardson as Fritz with Child Guest Artists (from an alternate cast to the one reviewed here). Photo: Sergey Pevnev. I was impressed by the costumes and I think everyone else was too; in fact, I heard a little girl whisper behind me “Look at her dress! It’s all sparkly!” when Clara‘s costume changes in the Land of Snow. In the party scene, no two costumes are alike, which gives it a realistic appearance. All costumes are delightful, even the rats’ with their humongous furry heads and velvet waistcoats. And most importantly, the dancers. The duets and solos of the Nutcracker Prince (Julio Blanes) and the Sugar Plum Fairy (Candice Adea) were breathtaking; their turns, their jumps, their lifts! It was astonishing. Christian Luck also played a very fine Uncle Drosselmeyer, with his quirky movements and kindly expression. Asja Petrovski was an excellent Clara, as she captured Clara’s child-like spirit. Oliver Edwardson was convincing as Clara’s sulky brother. The corps de ballet’s work was extremely precise and the child guests were exceptionally talented for their young age. The Nutcracker is a Christmas family tradition and a joy to watch. I definitely recommend it, I love the magic, humour and dance in this ballet and I think you would too. The Nutcracker plays His Majesty’s Theatre until December 9. 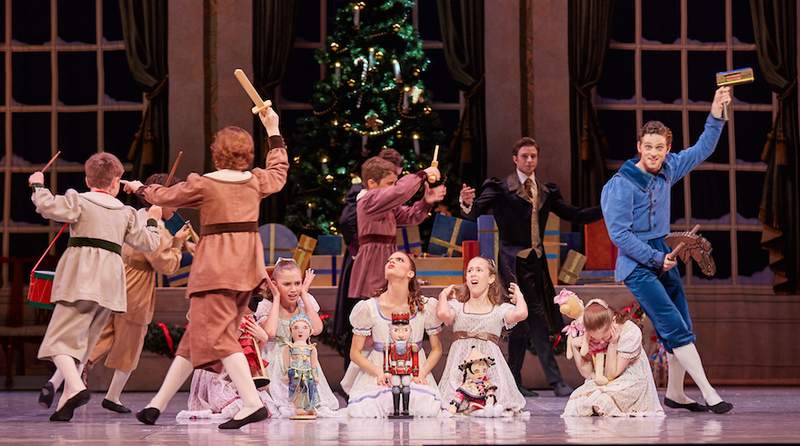 Read a review of The Nutcracker from senior reviewer Amy Wiseman here. Pictured top is Liam Green as Uncle Drosselmeyer with Carina Roberts as Clara and Matthew Lehmann as the Nutcracker (from an alternative cast to the one reviewed here). Photo: Sergey Pevnev.